This post is dedicated to my Nashville ladies! Last week the girls and I went for an amazing dinner at the Tavern Midtown. Everyone suggested that I try the Kale Salad…I did…I then died and went to heaven. 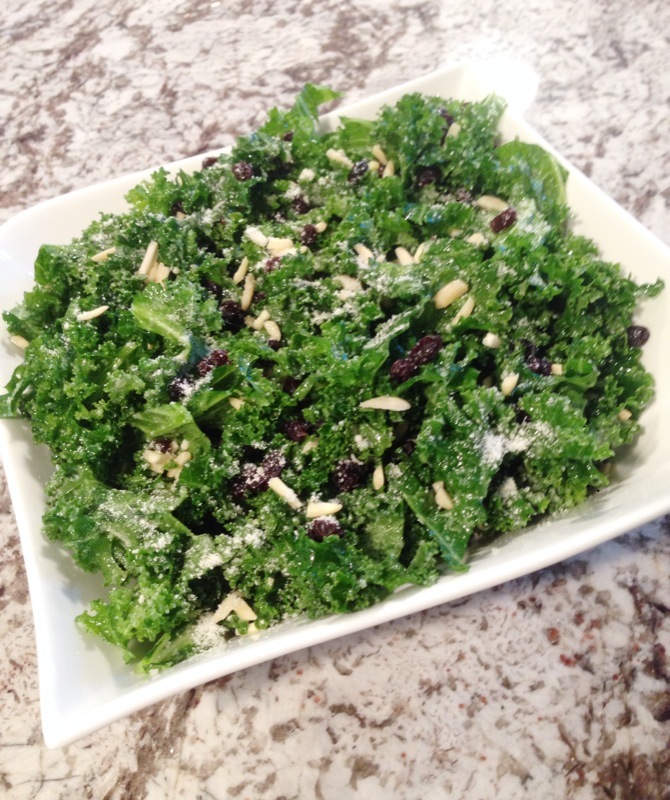 I have always been weary of creating a Kale salad due to it’s slightly bitter taste, but this was the bomb! Last night I re-created this heavenly creation but switched up some of the ingredients. Tavern’s Kale Salad is pulsed in a food processor, while mine was finely chopped. The recipe works either way! 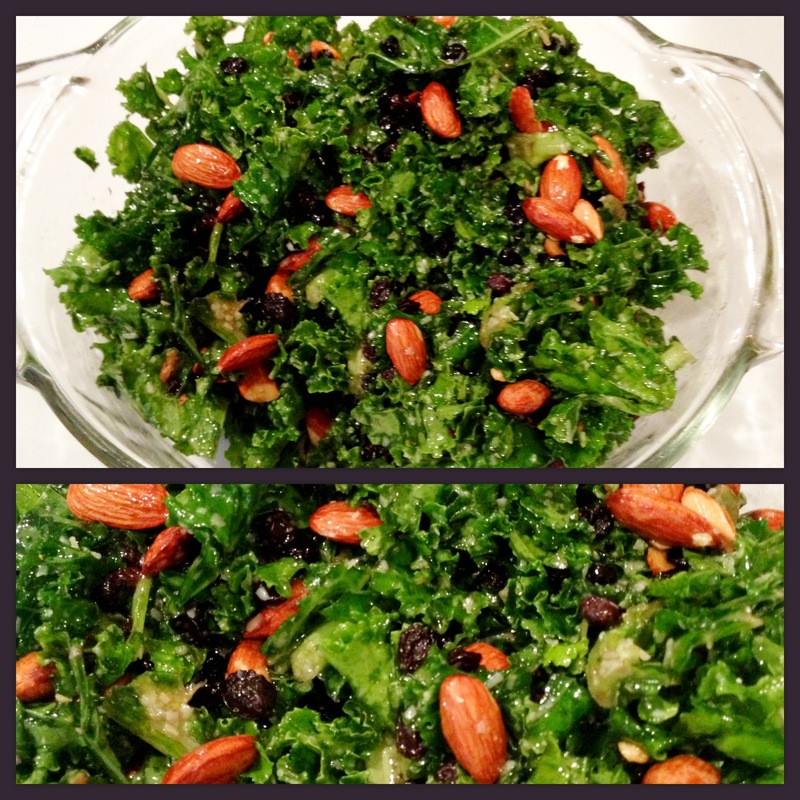 On a side note, I never thought I would see my husband having “thirds” of a kale salad…yes it’s that good. Enjoy! In a small bowl whisk the olive oil, lemon juice and agave nectar. Pour onto the prepared Kale and toss. Add in the Parmesan, currants, almonds and salt & pepper and toss the salad once again.